Once the new roll-out is complete, more than 3MW of solar capacity will have been installed on Premier Inn sites. Image: Whitbread/Anesco. 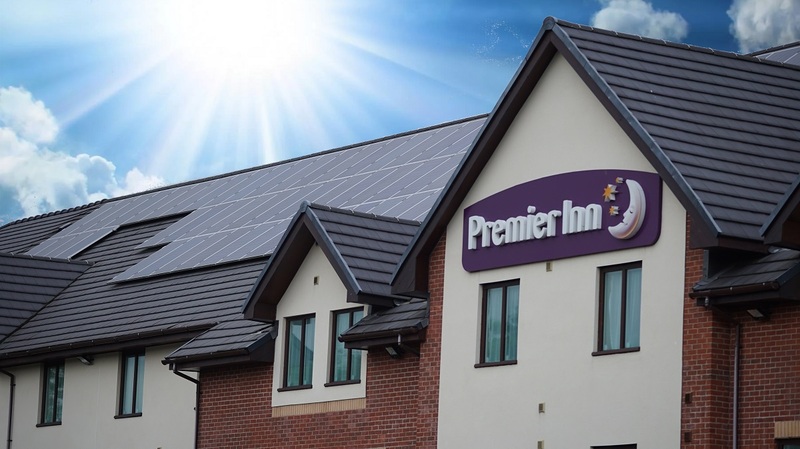 Premier Inn owner Whitbread is to nearly double its solar capacity, installing rooftop PV on a further 70 of its hotels. Whitbread has turned to Anesco to complete the installs which, the company said, would leave the hotel chain with more solar panels that any other in the UK. James Pitcher, director of sustainability at Whitbread, said solar was a “fantastic proposition” for the company as a long-term investment. Anesco also worked on Premier Inn’s previous solar deployment scheme which saw solar installed on 88 hotels between 2013 and 2015. Anesco now expects to complete the new installs by the autumn, adding 1.6MW of new generating capacity to Premier Inn’s portfolio. Furthermore, Anesco will also monitor the new systems’ performance via its in-house O&M unit AnescoMeter.